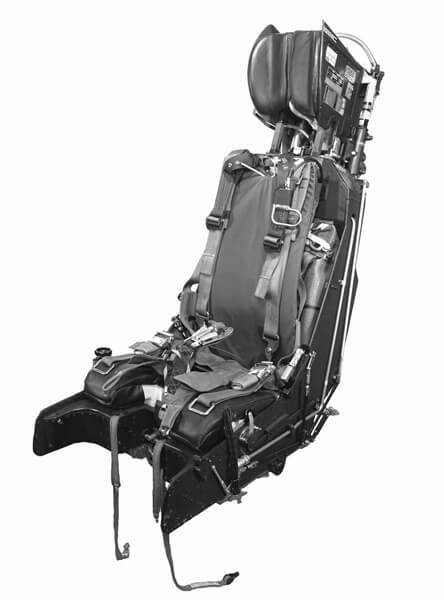 After some 23 years of development, the design of the Martin-Baker ejection seats was becoming somewhat complex, and, towards the end of the 1960s, a new design was put in hand which eventually became the Mk9 seat. 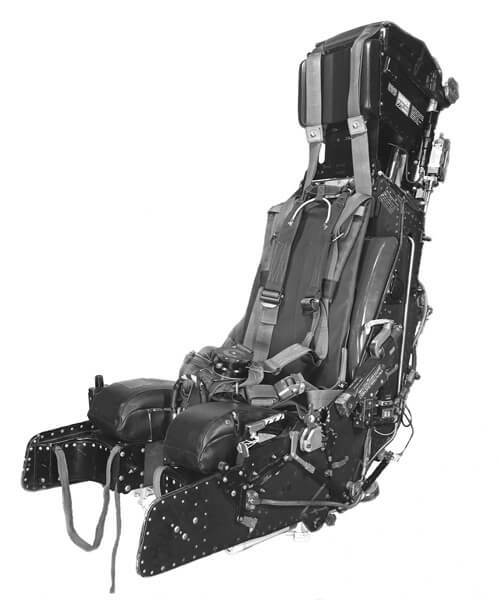 The general design features of the ejection gun and guide rail, the barostatic time-release unit, the drogue gun and the personal equipment connector were retained, but considerable changes were made to the general seat structure, the drogue container, the parachute and the seat pan. 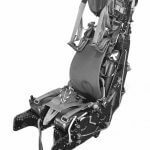 These design changes resulted in a marked improvement in the appearance of the seat and in personal comfort for the occupant. 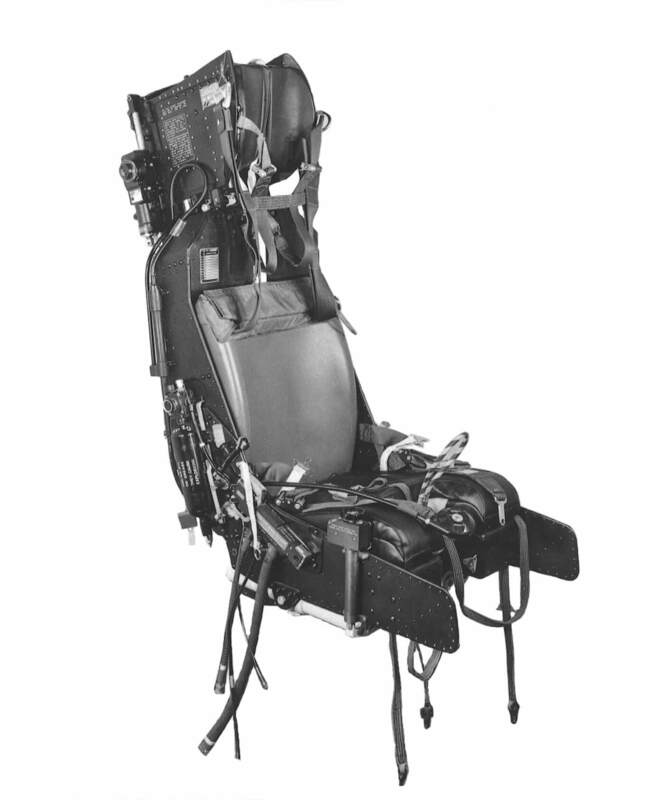 These seats were equipped with power retraction and a completely new gas-operated seat firing system, superseding firing cables and utilising one firing handle only, mounted on the seat pan, the face screen and its firing cable being dispensed with. Approx 0.55 seconds after ejection, drogue gun fires, 22 in. 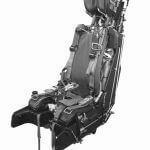 dia then 5 ft dia drogues which deploy to stabilise and slow the seat down. 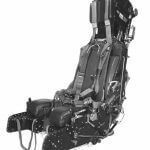 Manual separation system available if necessary. 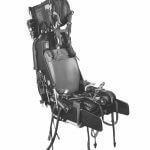 Operation of manual separation handle releases parachute harness, negative-g strap, PEC and leg restraint cords. 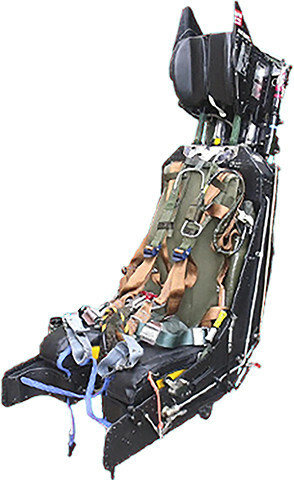 Parachute withdrawal line is severed, freeing parachute from seat. 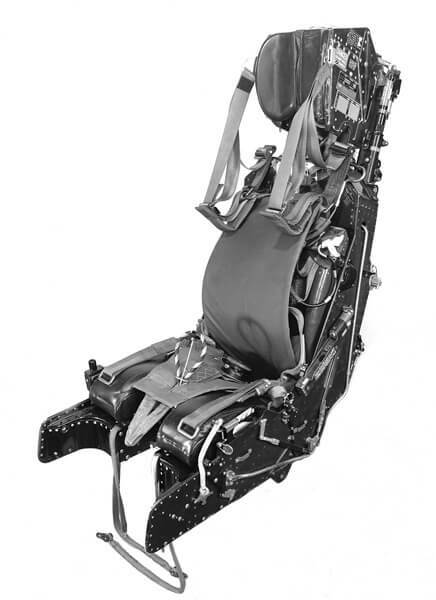 Aircrew can then use rip cord to operate parachute.